Cognitive Behavioral Therapy is a form of therapy based on evidence that helps the patient identify addictive behavior, unlearn it, and replace it with a healthier one that can keep him on the path to recovery. Who Is Qualified to Use Cognitive Behavioral Therapy? Cognitive behavioral therapy is a form of psychotherapy based on functional analysis and skills training. That means virtually anybody can choose to try the program. However, this type of therapy may be more suitable for some patients than others. Are There Limitations to CBT? Cognitive behavioral therapy has a set of characteristics that may or may not appeal to every patient. That’s why it’s important that medics tailor the treatment plan to the patient’s own needs as well as their mental and physical health state. Keep in mind that cognitive behavioral therapy is a short-term type of treatment, with its effectiveness being limited to short periods. It is also a very well structured and directive approach that requires a lot of collaborative effort from the patients. They must express their feelings, concerns, and the things they’ve learned for this therapy to be effective. Can Treatment Medications Be Used Alongside Therapy? Yes, patients can use treatment medications alongside therapy sessions. In fact, doctors often combine CBT with a medication treatment plan to increase the efficiency of the medical care. Is Cognitive Behavioral Therapy the Most Successful Therapy Approach in Treating Addiction? When it comes to treating addiction, one can’t claim that one approach is better than the other. All have their advantages and disadvantages and can contribute to a patient’s rehabilitation. However, some studies have shown that cognitive behavioral therapy can have moderate effectiveness in treating substance abuse. Many specialists recommend cognitive behavioral therapy as a valid approach for dual diagnosis. People that suffer from both a substance abuse disorder and a mental health disorder may benefit from this type of therapy as it can help them develop strong coping skills and control both conditions. For patients with a long history of substance abuse, however, it is recommended that they undergo a more intensive treatment plan before trying cognitive behavioral therapy. Can You Combine Other Treatment Options with CBT? Overcoming addiction is a difficult process. It requires determination, perseverance, and a lot of support, both from medical professionals and from loved ones. 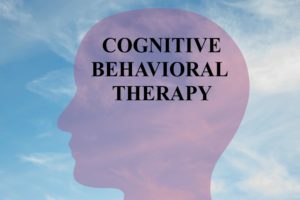 Cognitive behavioral therapy is widely used today as a treatment for addiction, teaching patients to work with themselves, their thoughts, feelings, and actions. It’s easy to get confused looking at the whole mosaic of treatment options available. Fortunately, our professionals and clinically supervised staff serving in our addiction treatment program know the ropes around addiction—and, more importantly, recovery. One effective piece of the puzzle is a traditional addiction treatment method from psychotherapy called cognitive behavioral therapy (or CBT). CBT begins from the stance that people, places, or things aren’t what get us into trouble, but the thoughts we have alongside the events. Cognitive behavioral therapy can help men recognize their bad thinking processes, and replace those thoughts with alternative beliefs they can discover while working with our counseling staff. CBT that accompanies other programs of holistic substance abuse treatment such as art therapy or spiritual counseling can prove most effective at identifying the unhealthy thoughts to exchange them for healthy patterns. Men enrolled in our drug rehab can use CBT to learn how to stay away from those people who provide the drugs or use drugs. While those attending our alcohol rehab may discover how to understand the urges compelling them to drink can be replaced with thoughts of how best to speak with their families or engage at work. Windward Way often uses this modality in particular with men aged 18-45; because we believe that anyone has the potential to become the person they really want to be. Change is an inevitability, but growth is a choice and requires effort. With our help, you can learn life again, the Windward Way—we can help you reclaim the man you are destined to become. Our counselors can begin the process with you right now, at 855-491-7694.